I wanted to share some recent finds with you. I found this fabulous frame at a garage sale a couple of weeks ago. The house was as packed as any hoarders show I've watched. There was a path made out for people to walk through. I'm sure there were some amazing things in there, but who could find them. I started sifting through some piles and found this lovely. A great buy at $5.00. The frame is huge, maybe 3 feet long. It was just the frame, no mirror. We bought a smooth piece of wood that my husband found in the as-is section for less than $3.00 and we had it cut to size right there at Home Depot. I've been wanting to try chalk board paint for some time. 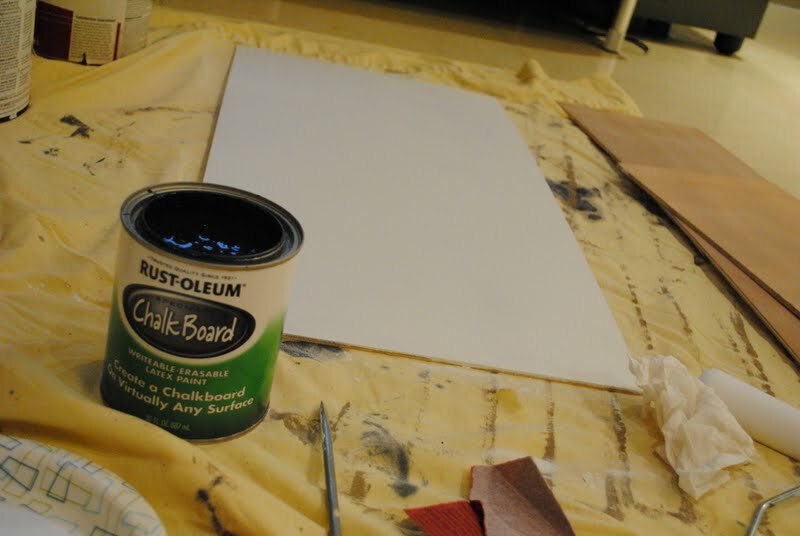 I bought Rustoleum Chalkboard paint and I loved it. 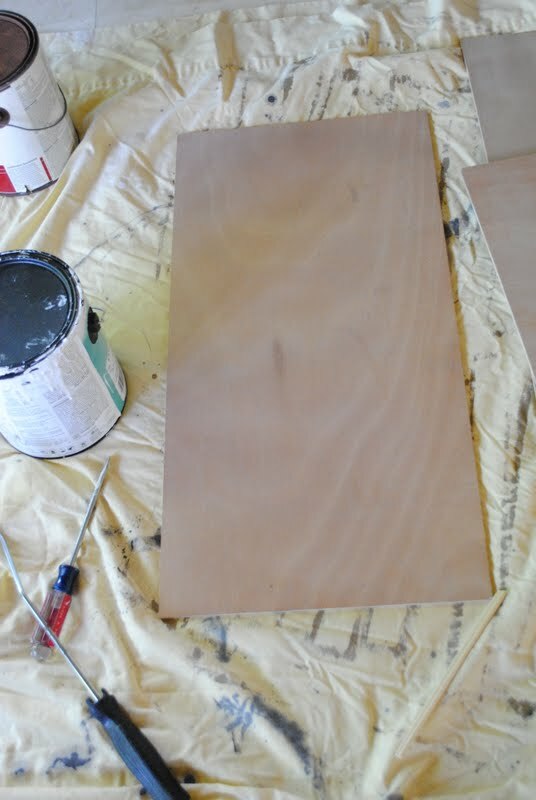 I primed the wood and applied the paint with a foam roller. I gave it two coats and just followed the instructions on the can. The finish was very smooth. I figured it would be perfect for my recent acquisition. A mid century dresser for $39.00 at Salvation Army. Can I tell you how much I love this thing. This next picture will give you an idea of the mirror's size. Another exciting happening here at JandJHome today, I'm guest posting over at one of my favorite reads, Primitive and Proper. I'll be sharing some of my favorite projects. Cassie does the most amazing furniture transformations and is a must read. I'll be linking up my golden chalkboard at these parties. The chalkboard looks great! Nice find! :) That dress is fantastic too! I am jealous...5 bucks and it looks amazing. I can't believe you found that for $5!! I'm totally jealous, love the way it turned out! wow that chalkboard is AWESOME!!! and like you, i love the midcentury piece mixed with the glamorous frame- it's perfection together! Looks great and I'm super jealous of that dresser! 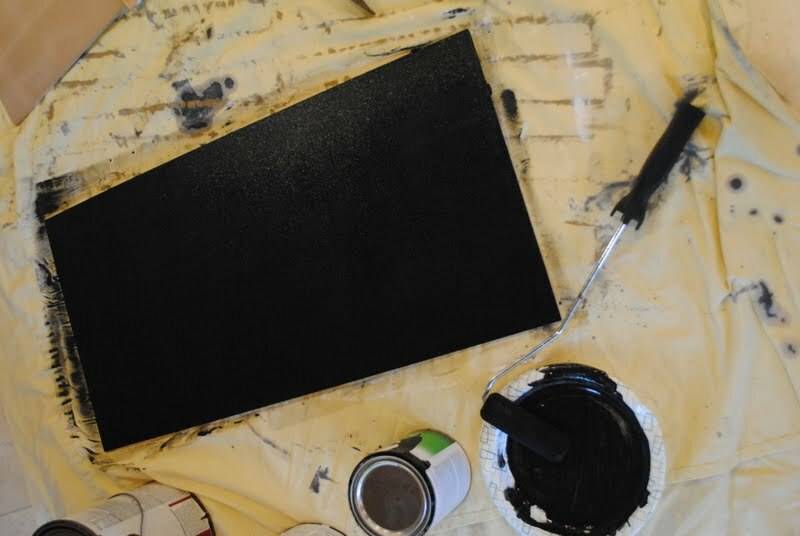 I have a chalkboard paint project drying so I can take pictures for a post. Such a perfect frame for the purpose! Love it. What a great find! Love how it turned out! Chalk that frame find up to a great result! amazing find and i LOVE what you did with it! great inspiration for other projects in my house! thank you!! Love both pieces, what a great deal! That looks great! I just picked up a similar frame at a hoarder's house garage sale this morning and want to do something similar. I just found your blog through Addicted 2 Decorating and I'm your newest follower! One more thing...How did you get your board to stay inside the frame? My frame doesn't have any clips or anything. WOW! Amazing! I love the look of the black on gold! I am visiting from Tatertots and Jello and I am a new follower! I would love love love if you would link this up to my Delicately Constructed linky party! I LOVE YOUR FRAME!! What a find!! Thank you so much for sharing!! 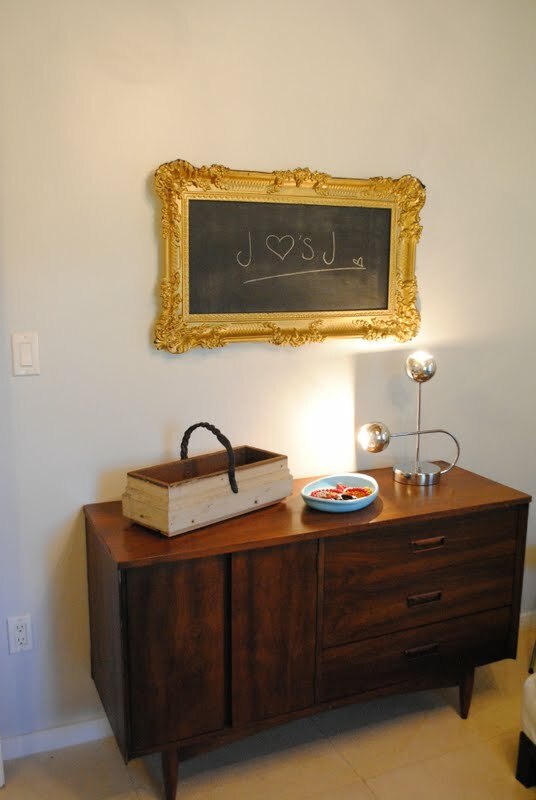 Love the dresser with the chalk board! Terrific idea! Thanks for posting. I am a new follower and hope to have many new followers! Love the frame! Very ornate and pretty! Jealous! I've been wanting to do a project like this but haven't found the right frame yet. I LOVE the way yours turned out! Wow, two fantastic finds! I've had my eye open for a mirror like that for about two years, and I've never seen one. I can't believe you got it for such a steal! And that dresser is amazing. It looks like it's in great shape, too! 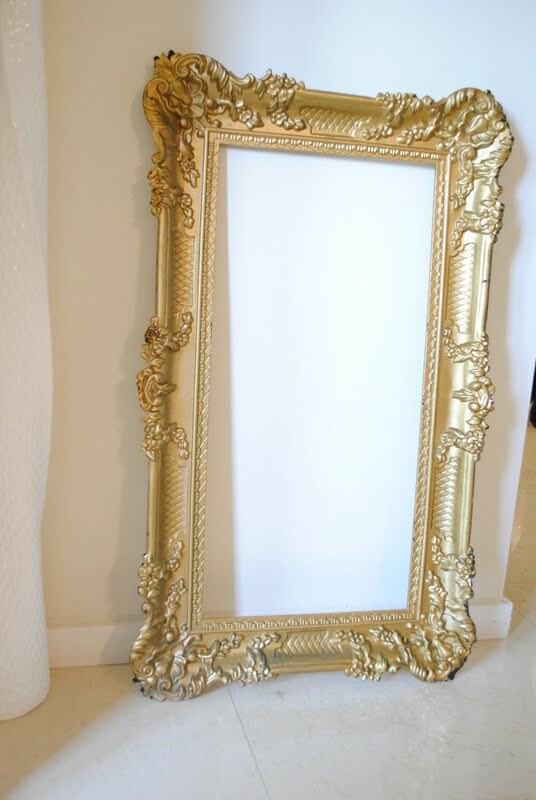 A fabulous find .... i recently saw a similiar mirror in a thrift store but the damage to the corners was so extensive i left it there. You've done an awesome job with the chalkboard. GREAT frame -- and that dresser is incredible!! You lucky duck for finding that! 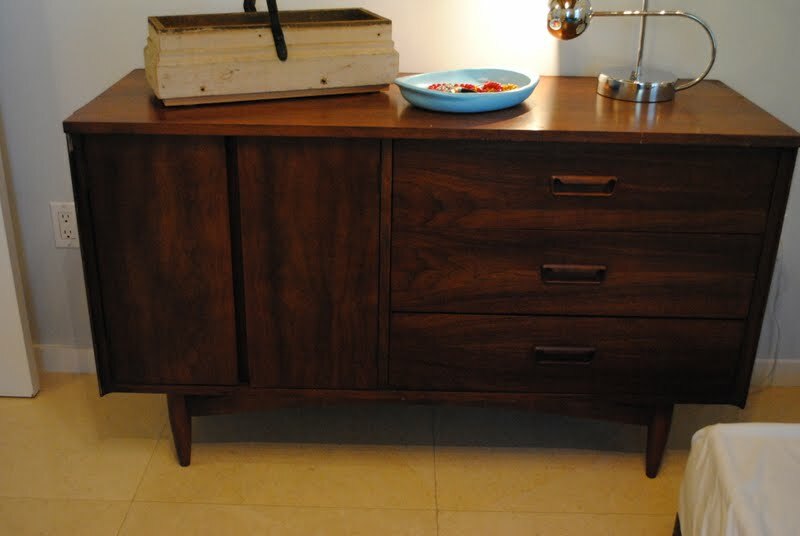 I LOVE that dresser/credenza...I've been looking for a similar piece for our living room. This is motivation for me to keep looking. And that mirror is awesome - great update. I'm so jealous! Your chalkboard is lovely! I have a similar frame but I used the chalkboard paint on the mirror. A big no-no. Once you wrote on it, it got all scratched so I'm back to square one. Sigh! Coming over from Met Monday and a happy new follower! What a great find! The chalkboard is great too! Amazing frame! I want to find one like that. I *love* that amazing frame! I'm a follower of your site now - everything looks great! So love this chunky gold frame-the elegant with the practical chalkboard! !I'm your newest follower! Completely in love with this ! Thanks so much for linking up at this week's BFF Open House!